Rantings on games, software, books, music, movies and the internet. Picked up the Switch halfway around the year, when Splatoon 2 was released. That game is a lot of fun, sort of a casual shooter you can always pick up and play for an hour. It has a nice feel of progression with new weapons and gear. And it’s getting regular big updates. 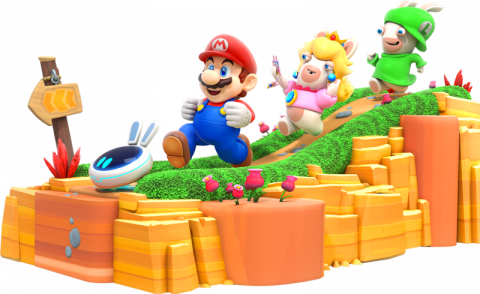 The game of the year on the Switch for me though was Mario Rabbids. I streamed quite a bit of it on Twitch and posted some highlights on my youtube channel. It’s a very interesting take on turn based combat Xcom style, with Mario characters and environment. I just found the final fight a little frustrating. One mistake and you have to do the whole thing over again. Also replayability isn’t very high, once you’ve seen the whole thing you’ve seen enough, at least for me. In any case, it’s well worth picking up this title if you care for this type of tactical gameplay. I guess we all know Mario Kart. The Switch version isn’t that much different, but it works wonderfully and it’s still great fun to play. Enough has been said about the much acclaimed Mario Galaxy. Overall a great fun game, even if you’re like me and usually don’t play these type of games. You can go as far as 100% it or just try to complete the game and the story. 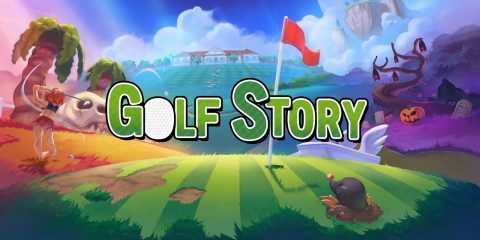 Golf Story is a fun little game you can get off the Nintendo Game Store. It’s a little hard to explain but it’s an RPGish type story inside a golf game. Last but certainly not least is of course Breath of the Wild. Picked by many as GOTY of 2017. And rightly so, its vast, lots to do and explore. Only drawback is the idiotic weapon degradation. I usually try to mod these things out, I don’t think they add anything to gameplay. Of course you can’t do that here unfortunately. I played this on the WiiU and only got this last month for the Switch. The switch version is a little crisper and smoother. The WiiU struggled a bit with some scenes. Gameplay is the same though. And that’s it, the list for 2017. All in all an excellent for the Switch, it’s a pretty awesome console, a great combo with the PC since there is so little overlap in games. Posted in Gaming and tagged GOTY on 30/1/2018 by Eric.